Fancy yourself a walking encyclopedia of mundane, trivial knowledge? 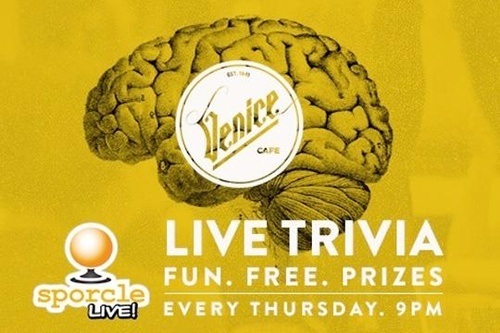 Sporcle Live Trivia every Thursday night at 9pm at the Venice Cafe. Its fun, its FREE, and there are prizes to be won - along with bragging rights.